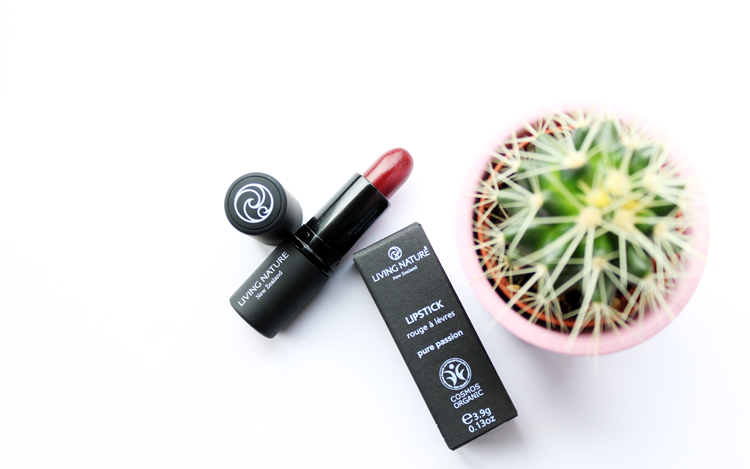 New Zealand based natural and organic brand, Living Nature, recently added two brand new shades of red lipstick to their mineral makeup range. I've got the shade 'Pure Passion' and it's a beauty! Although I'm more familiar with Living Nature's skincare and bodycare ranges (read my past reviews here), I have tried out one or two things from their makeup line which have been really good. Their lipsticks in particular, are definitely worth looking into, so I was pleased to see that they've launched some more shades. Above is their new lippie called 'Pure Passion' which is described as a rich, semi-matte red with a subtle crimson undertone. It comes packaged in their sleek rubberised tubes (think NARS) with their logo on the lid. When I opened it up, I was surprised by how dark it looks in the bullet as it's quite an intimidating vampy shade but once applied, it's actually very wearable and much brighter as you can see below. This is quite a versatile red to have in your makeup collection as one quick swipe will give you a wash of colour, or you can layer it with a lip brush for a more intensified, evening look. The finish is semi-matte and it feels very moisturising and comfortable on as the organic formula is fortified with Coconut Oil, Beeswax and Carnauba Wax so it's great for anyone with dry lips. It's not as long lasting as mainstream semi-mattes as it is a natural based lipstick, but it still fared well for 2-3 hours before it needed a touch-up. For green beauty fans, this lipstick is carmine-free and there's also another new shade that's brighter and more orange toned red available called 'Wild Fire'. Living Nature Lipstick in Pure Passion* (3.9g, £19.50) is available from Botanical Brands here. Check out Living Nature's latest promo video on Youtube here where you can see the lipsticks being made! 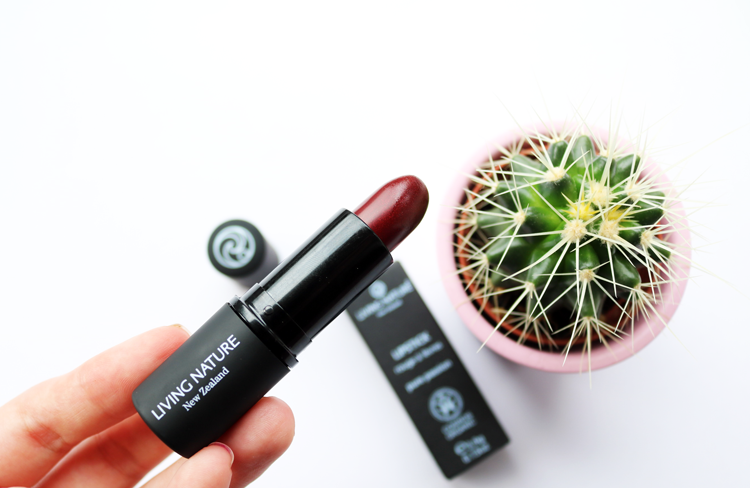 Have you tried any makeup from Living Nature?